I’ve had a baking obsession lately… “I need to stop,” I whisper to myself as I find my next delicious recipe:) I can’t get enough!! It’s not my fault these fall recipes keep hounding my taste buds. Right? 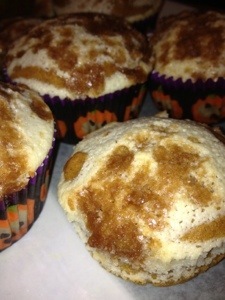 This recipe was adapted from With Lovely and they were absolutely AWESOME!! 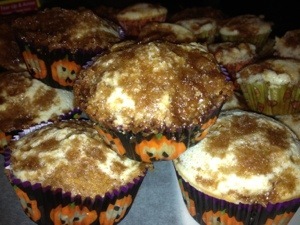 If you’re looking for something that screams fall you must try these muffins! TODAY! First prepare the Cheesecake filling by combining cream cheese, egg, flour, and powdered sugar in a medium bowl and mix with a fork until blended and smooth. Preheat the oven to 350 and line the muffin pans with paper liners. 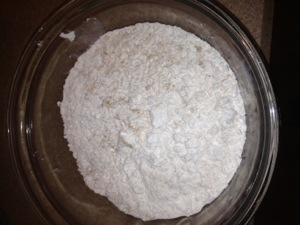 In a medium bowl, whisk together flour, cinnamon, pumpkin pie spice, vanilla, salt, and baking soda. 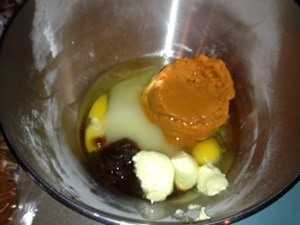 In the bowl of a stand mixer combine eggs, sugars, pumpkin puree, oil, and butter and mix on medium-low speed until blended. 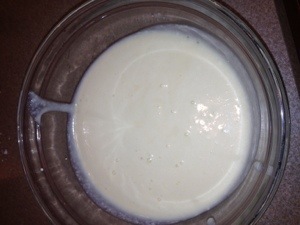 Add the dry ingredients in three additions, scraping the sides and mixing just until incorporated after each addition. In a small bowl, whisk together sugars, flour, and cinnamon. 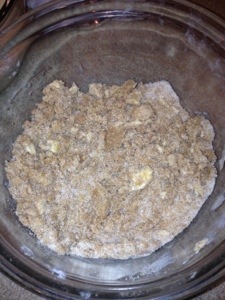 Add in the butter pieces and cut into the dry ingredients until mixture is crumbly. Fill each muffin about 1/2 full with batter. Add a generous dollop of filling on top. 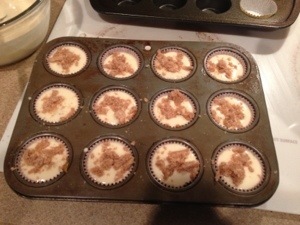 (For full-size muffins I did two layers each of muffin batter and cheesecake filling, alternating.) Sprinkle with topping. Bake mini muffins for 14 minutes or full-size muffins for about 24 minutes.